Hello everyone! As time goes by our taste in styles and design change. 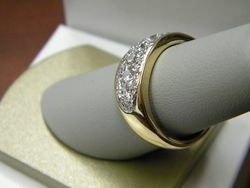 One of our clients had the idea that it was time for her BGR. 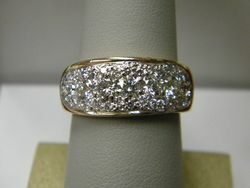 We used the diamonds from her 5 stone straight band, added some new stones and BOOM... a super star ring was created. The new look certainly gave her the look and bling she was looking for. A stunning example of mixing the old with the new!